Happy New Year to you! Hope you’re suitably recovered from whatever midnight craziness you’ve likely experienced. A quick recap on my year would look like this: worked hard, learned lots, had fun, met a girl, didn’t blog enough. For some reason I can’t shake the sense that 2012 will be a sensational year, so I’m fighting through a hangover to make the optimistic promise that I’m going to blog much more, every day in fact. It could be a photo, it could be a cool video, a gallery, a full post or just a single idea. Either way, it’ll be the stuff that I think will make for an interesting visit. So keep clicking, and look out for some great stuff on the horizon. 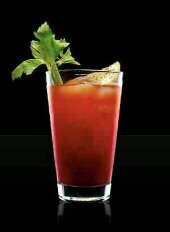 Right, time for a bloody mary, I reckon!